The book is very useful for the policy makers and researchers. Publisher: Reed Elsevier India Pvt. Ltd.
“Health care systems across the world are on a state of total disarray and yet there appears to be no transformational solution in sight. Everyone has an agenda, and it may not be in the best interest of the patient.” With these words of caution, Rajendra Gupta, who is currently the advisor to the union health minister, has written a comprehensive account of the heath system in India; its evolution, performance and the way forward. Pressing for keeping health on priority list, chapter one of the book has made situational analysis of UK, USA, Canada and India to warn that the politicians can ignore the healthcare system at their own peril. A World Health Organisation (WHO) report (2008) suggests that about 40% of Indians cited health as their major concern before other issues. It laments that India’s expenditure in health, as percentage of GDP remains lower than many of the emerging economies, notwithstanding the recent increasing budgetary allocations in education and health sector. Some glaring facts on health sector come as warning bell for the policy makers. India houses world’s 17 % population and at the same time accounts for 26% of the childhood vaccines preventable deaths, 20% of the maternal deaths, 68% of the leprosy cases, 30% of TB and 10% of HIV infection, globally. Giving a correlation of human health with the modern lifestyle, it says that with the advent of liberalisation there has been a change in the value system in India. The new generation has been quick to adopt new lifestyle. No wonder that alcohol consumption in India has increased in last three decades. And alcohol and tobacco pose serious challenge to the millennium kids (Born after 2000). The author warns, “We might be drifting towards a surge in cancer and TB cases due to tobacco and alcohol”. Sexual health and mental health will pose big challenge in future. The book succinctly deals with the ‘economics of health’ as a sub-topic. Centuries ago European countries could reduce poverty not by economic progress but by better health care and education. This underlines why we should invest adequately in these sectors to address key problems in India. Making an in-depth analysis based on the personal experience and interaction with number of Indian families, the author puts forward that social inequalities in India are a key challenges of healthcare. There are several examples where a family loses its stability if its breadwinner dies of any disease. Many poor families sell their assets to treat their family member, which brings them on the streets. The irony is, notes the author, even after seven decades of independence ‘health for all (HFA) remains a rhetoric; in reality it is ‘health for a privileges few’! The book consists of five chapters in total and has many sub-chapters. It discusses, among others, the politics and economics of health, women’s and children health, health care challenges, decision making structure in India, list of national programme on health, history of health care reforms in India, ground realities, foreign influence on the health care systems, pollution and health, universal health care, etc. In the second chapter, the health care market is assessed from various accounts and the structures of decision-making. 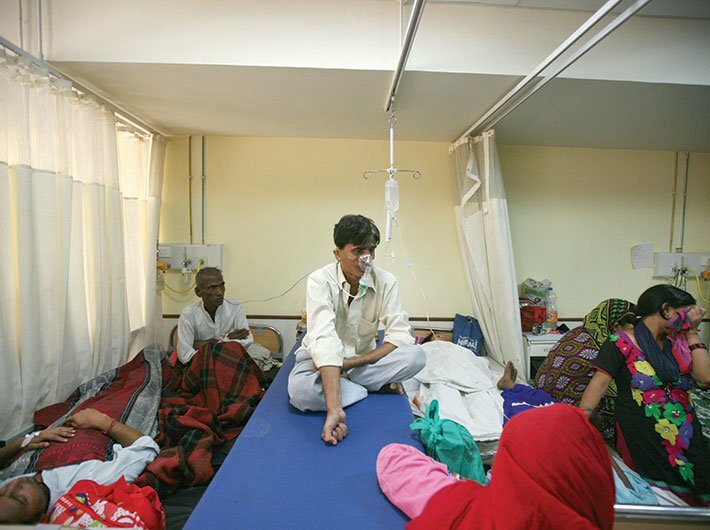 The health care market in India is huge and has crossed a $100 billion by 2015. Though it’s a state subject and the centre has influence on the subject. The nodal agency at the centre is the ministry of health and family welfare. The erstwhile planning commission used to influence the health policy and financing of the country. A lot of hard work has gone in collecting reports of important committees on health care reforms in India since the British Raj and succinctly presenting them in chapter four. Though implementation of the National Rural Health Mission (NRHM) is considered as the starting point of health reforms in India, it actually dates back to 1859 with the setting up of the Royal Commission. Despite so many reforms, the unchanged reality is that the country suffers from huge infrastructural gap and financial constraints in this sector. The author reveals that our health care system worked always under the influence of knowledge drawn from foreign countries. In chapter five, the book discusses the challenges to health care as historical, developmental and procedural. There has been negligence in investment in the sector; neo-life style has brought forth new health risks and diseases and finally the challenge remains in form of managing an inefficient and corrupt bureaucracy. Rising pollution and impacts of climate change are emerging as major health care concerns. Despite all these, the author is optimistic about the future. 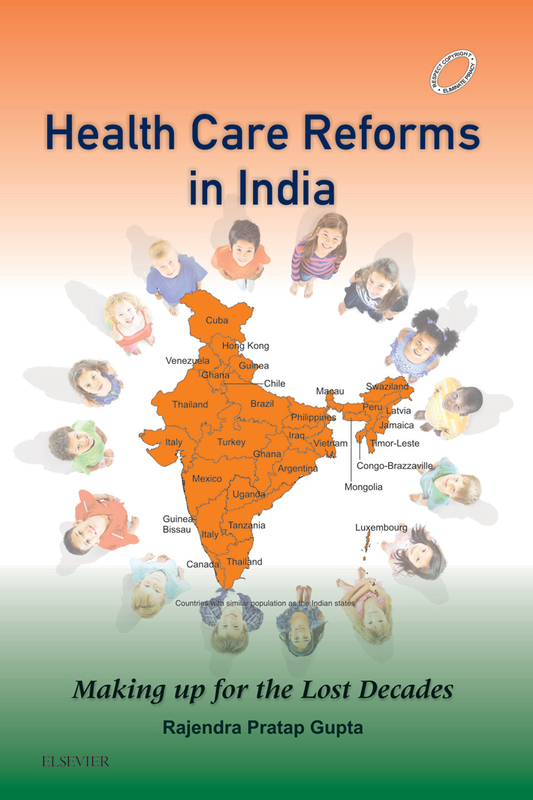 It believes that India has potential to adopt innovations in the health care policies and make the heath care sustainable, as “It has no past baggage or powerful corporate lobbies in health care”. It proposes a pre-emptive care model by shifting the focus from ‘medical care’ or the ‘payment and treatment model’. The adage, “prevention is better than cure” goes well with the suggested framework. The author has more than two decades of experience in the sector and has been an advisor to several leading health care organisations across the world and has won several awards. The book is very useful for the policy makers and researchers.